This is Terje&apos;s new pow-seeking missile. It has an all-new shape that blends the stability and float of traditional setback with the balance of a twin. It’s a directional ride with a freestyle feel. 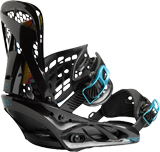 Ready to execute on any terrain, the Black Snowboard of Death is back for 2014 with the new Mountain FK profile. A blend of camber underfoot, a flat profile in the tail, and rocker in the nose gives you insane pop, power, float, and stability. If you&apos;d rather search for secret powder stashes while everyone else laps the park, then this is the deck for you. Designed to conquer any type of terrain and with a focus on freeriding and pow slashing, the Beauty is truly a sight to behold. This aggressive all-mountain freestyle board makes the white room a whole lot darker. A camber-dominant C3 Banana profile increases pop and power to help you charge harder and 3D Bamboo binding platforms transfer energy for precise control. All-around manly man Bode Merrill uses this board to push limits in the street, the backcountry, and the park. 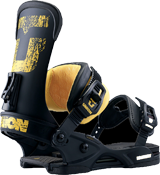 The Cross Profile features the unbeatable pop and response of camber, with just a touch of rocker at the tip and tail to improve float in powder. Xavier De La Rue’s pro model board was designed to perform on the gnarliest terrain on Earth. 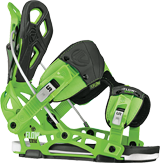 Magne-Traction edges, hybrid camber, and the super-directional flex help him (and you) crush boundaries and conquer heavy lines on the biggest mountains. Prepare yourself for the deep days with this powder-punishing machine. The swallowtail shape, tapered tail, and rockered nose help it float effortlessly and give it a surfy sensation that will change the way you ride pow. 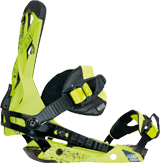 Developed with team riders and backcountry destroyers John Jackson, Mark Sollors, and Jussi Oksanen, this freestyle machine helps you take park tricks to the powder thanks to the Flat Top profile and a true twin shape. 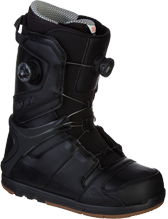 The Adjustable Flex System allows you to adjust boot stiffness to suit your riding, and the Lunarlon midsole gives you the right blend of comfort and control. 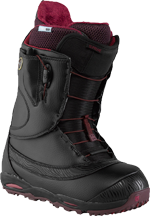 The Supreme has no equal for hard-charging ladies who need a super supportive and responsive boot that doesn’t compromise warmth or comfort. 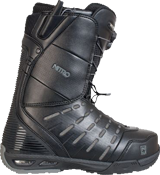 The stiffest boot on the market for the demanding big mountain rider who needs next-level responsiveness and support. Pick apart steep lines with surgical precision. 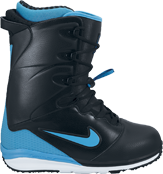 This boot returns year-after-year because it offers the stability and power needed for massive jumps, yet it’s still flexible enough for tweaked grabs and sky-high presses. 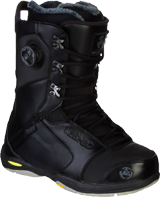 Designed with the help of Travis Rice, this boot was designed to be supportive, responsive, and comfy enough for the world&apos;s most demanding rider. 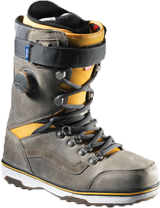 This boot was built to dominate the mountain with power and stability, and it features dual Boa dials for a secure fit and easy entry and exit. 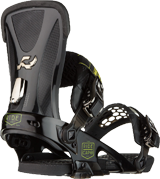 A mix of traditional and Boa lacing provides the ultimate fit, and Endo construction keeps the T1 boot stiff and sturdy for seasons to come. Full-grain leather and classic Vans styling provides a timeless look, and the hybrid Boa lacing system and a power strap cuff prepare it for all-mountain annihilation. 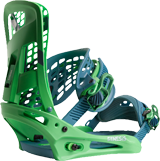 Born to rule everything from peak to park, this binding features the KickBack Hammock highback, which completely cradles your heel and gives you plenty of tweakability. The KickBack Hammock highback cradles your heel without compromising tweakability, and the True-Fit shape matches the contour of a woman&apos;s lower leg. Aircraft-grade aluminum makes the Infinity baseplate ultralight and strong enough to handle anything, and the Eclipse highback offers massive responsiveness. 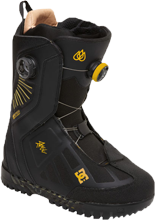 Travis Rice&apos;s binding for everything from AK lines to BC booters. It boasts responsiveness, support, and bombproof durability. Insane board feel and ridiculous responsiveness make this a Nitro team favorite for everything from massive park booters to quad kink urban rails. The Hanger baseplate is hinged in the middle and has a small footprint so your board can flex freely and respond quickly. 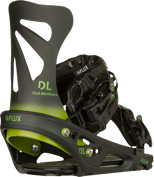 With the increased leverage and control of the new Ultima winged-highback, this lightweight, aggressive binding conquers the gnarliest terrain without breaking a sweat. This team favorite got a makeover for 2014. The cored-out aluminum alloy baseplate makes this binding lightweight without sacrificing its lightning-fast responsiveness.